As a repeat buyer, you know that a quality mortgage professional is a must-have during the home buying process. Got to get the horse in front of the cart! You've already been through the home-buying process before and now are about to go through the whole thing again. 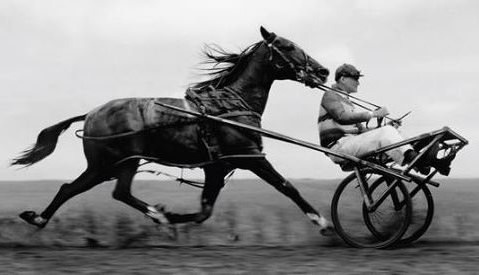 Things have likely changed since your last mortgage - make sure to get the horse before the cart! If you'd like a refresher on the steps purchasing a house requires, you can read the through the process by downloading our free Home-Buyer's Guide. Getting yourself financially positioned to get a mortgage and purchase a home often takes time and effort. For many, it's been a long time and the rules have changed since you last had to mortgage-qualify. In today's lending environment, many things need to line up including your employment/income, credit history, and down payment to name a few. This comes easy for some, and for others there are specific things you would appreciate knowing well in advance of applying for a mortgage so that necessary corrective action is possible. It's comforting to know you are headed in the right direction, and that's the goal of our team - to help you successfully navigate through financing of your next home.! Before anything else, you need to know can you still qualify for a mortgage, then how much you can afford. The availability of mortgage financing is obviously important to your purchase plans, and each mortgage lender has their own lending guidelines, or Rule Book. Besides the lenders' Rule Book, there is another set of rules whenever you have less than 20% down payment, as your lender will need Mortgage Default Insurance. One myth that needs dispelling is that low down payments (under 20%) are only available to first time home-buyers - not the case! Interest rates change with the market, so you'll want to find out what the current rates are. Interest rates are lower for borrowers with good credentials, which serves to increase the mortgage payment you can afford to pay. However, rates are not necessarily lower for borrowers with less-than-stellar credentials as they represent more risk to the lender. Required down payments are lower for borrowers with good credentials, which means you can qualify sooner. For borrowers with less-than-stellar credentials, larger down payments are required as they represent more risk to the lender. The income used to qualify for a mortgage may be lower than the would-be purchasers believe they have, as certain forms of income are ineligible. The more monthly payments a person has (credit cards, vehicle loans, lines of credit, etc.) the less of their income they have available for the mortgage payment, which serves to decrease the how much house they can afford to buy. When people lend you money, do you pay them back on time and as agreed? Every time you access credit/borrow money, whether credit card, cell phone, vehicle loan, student loan, etc., your repayment history and reliability is tracked by credit reporting agencies such as Equifax and TransUnion. Your credit score is a numeric value representing the likelihood you will pay back your debts reliably. The higher the better. It is important to understand your credit report and credit score. Once you know how much you can afford, there are a few steps you’ll have to tackle before you can get the keys to your new home. Here’s a broad overview of what you can expect. Before you begin looking at houses, narrow in on your chosen location. Having the right team in your corner can make all the difference when it comes to buying your first home. Your home buying team can bring a wealth of real estate experience and expertise that will help make the process as simple and straightforward as possible. Team members will often include your Realtor, Lender or Mortgage Broker, Home Inspector, Appraiser, Lawyer, Insurance Broker, Land Surveyor, and Mover. Often you will find that your Realtor and Mortgage Broker can provide top quality referrals to professionals they have good success with. If you haven't already, this is where you will decide how much you can afford. When it comes to choosing a mortgage that works for you, start by asking yourself a few questions. Are you likely to get the financing you need? What will you do if interest rates go up before you’ve found your home? When it comes to getting pre-approved, be honest with yourself and your situation. Getting the home you want starts with getting a home you can afford. Your mortgage broker will help you answer these very important questions. Contact us for a free consultation. Making an offer is where the rubber hits the road, often exciting and scary at the same time. Your offer will include your proposed purchase price and move-in (possession) date as well as certain conditions like your ability to secure financing, a satisfactory home inspection, and the inclusion of certain items you want included with your home purchase like appliances, window treatments or light fixtures. Often there is some back and forth between buyer and seller until the offer is accepted. Your mortgage broker will work with you to help you get the mortgage that’s right for you. If you’ve been pre-approved for a mortgage, present your accepted offer to your broker who will advise you of any other requirements to secure the mortgage. As the closing day approaches, it’s not unusual to feel both excited and anxious. Keep in mind your Realtor, mortgage broker and lawyer will do most of the work for you to ensure that everything goes smoothly at closing. Obviously there are more details and a lot more to it. We are here to help. Contact us for a free consultation.